1 - 5 pieces $14.95 ea. 6 - 11 pieces $14.49 ea. 12 - 23 pieces $13.95 ea. 24 - 47 pieces $13.49 ea. 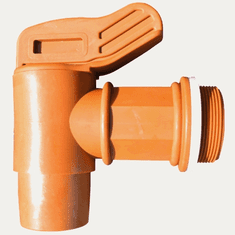 Heavy Duty Bulkhead Fitting 3/4" for Water Barrels, Rain Barrels, Plastic Drums and Barrels and other heavy duty applications where strength and durability is a necessity. 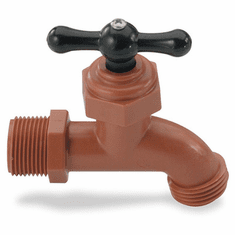 This PVC 3/4" Bulk Head Fitting has 2 Santoprene Gaskets, for a secure safe inlet for your faucet on a sidewall of a container. 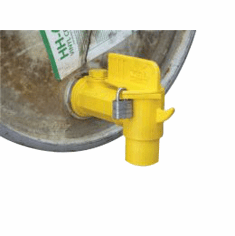 Installing Pipe Connectors, spigots, Valves, Faucets in Plastic Barrels, Plastic Drums, Plastic Rainwater Barrels, Rain Barrels and Rain Water Drums and Barrels. 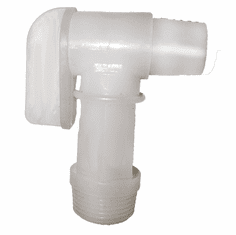 When installed in a tank these PVC Tank Fittings add an FNPT connection for attaching tube fitting, spigots, valves and more. 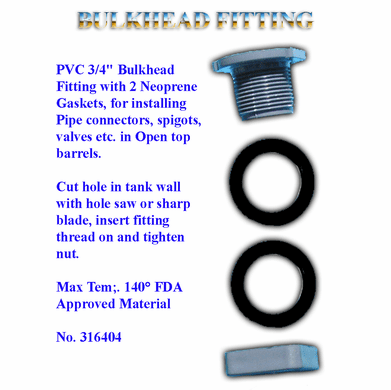 To Install: Cut hole in tank wall with hole saw or sharp blade, insert fitting (should fit loosely), thread on and tighten nut. 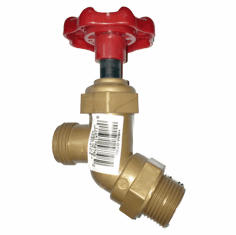 We can install fittings in your tank or container in the position you designate, or you can buy them loose. 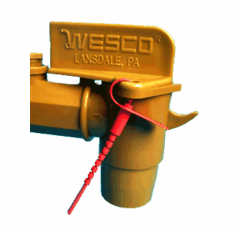 Maximum Temperature: PVC: 34�F - 140�F. Santoprene� meets FDA standards. PVC meet NSF 61 requirements. Why A Rain Water Barrel Is Worth It And How To Use One Properly.